The Hanning window is a taper formed by using a weighted cosine. The window, normalized to one (the value one appears only if M is odd). The Hanning was named for Julius van Hann, an Austrian meterologist. It is also known as the Cosine Bell. 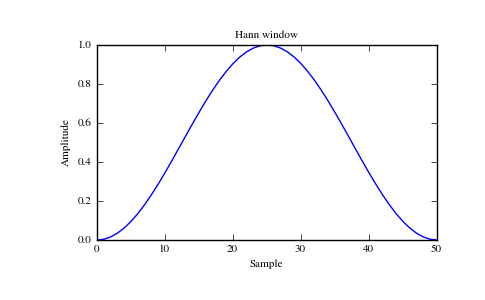 Some authors prefer that it be called a Hann window, to help avoid confusion with the very similar Hamming window. 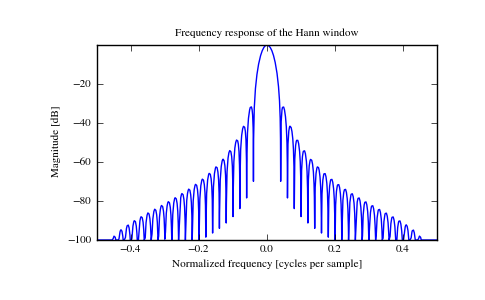 Most references to the Hanning window come from the signal processing literature, where it is used as one of many windowing functions for smoothing values. It is also known as an apodization (which means “removing the foot”, i.e. 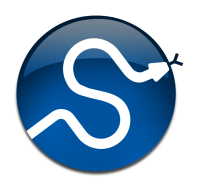 smoothing discontinuities at the beginning and end of the sampled signal) or tapering function. [R24] Blackman, R.B. and Tukey, J.W., (1958) The measurement of power spectra, Dover Publications, New York. [R25] E.R. Kanasewich, “Time Sequence Analysis in Geophysics”, The University of Alberta Press, 1975, pp. 106-108. [R27] W.H. Press, B.P. Flannery, S.A. Teukolsky, and W.T. Vetterling, “Numerical Recipes”, Cambridge University Press, 1986, page 425.